The reason I spoke with Erk about Facebook, a few weeks ago, is that I helped reorganising his office. He has a publishing company for music magazines. I already built a lot of bookcases in the building and did all kind of other jobs, but his own office was a mess that defied description. It had two large tables that were filled piles of paper in chronological order dating back to the late middle ages. He emptied the whole room the day before I came and together we reorganised everything. And after that I built a new case. I built about one or two of such cases each month. Usually it takes less than a day to make them, but sometimes they have to be painted too. 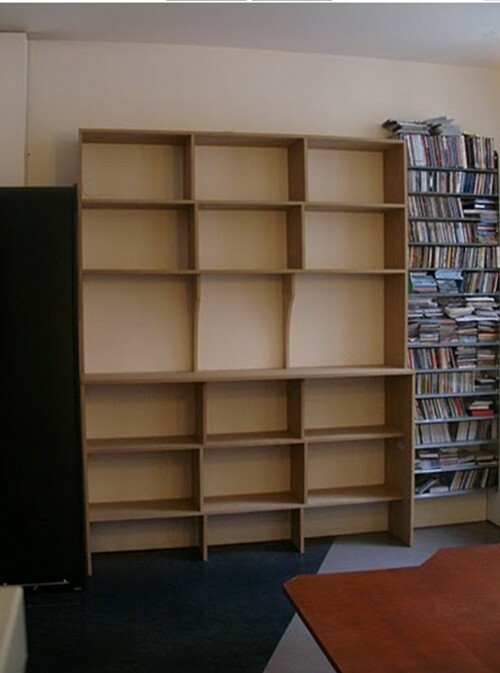 I ask 25 euro per hour, so that makes these bookcases (and all kind of other cases) pretty expensive compared to an IKEA case. But you cannot buy things like this. A few months ago I helped Erk cleaning out a storage room in the building. 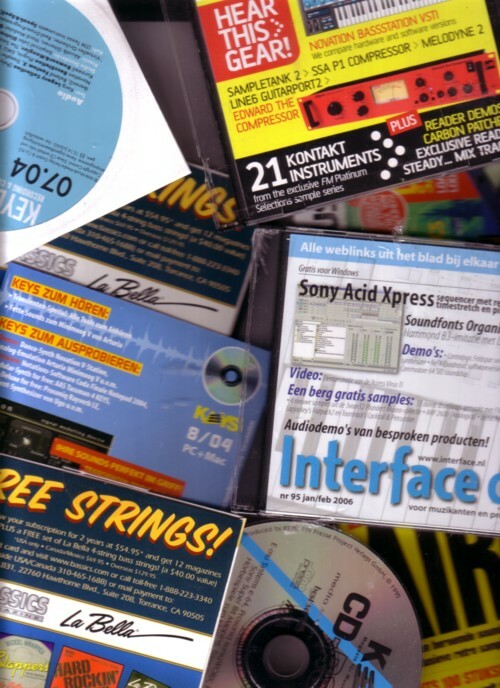 I got a plastic with old demo CDs for electronic instruments that came with magazines that the company either is subscribed to or made themself. I wondered what would be on this CD’s. I had seen them before on flea markets, usually large amounts of them, that you could buy for less than nothing. I thought it was all software, but Erk said that there was also music on the CD’s. Well, listening to this stuff was fun. I wanted to give you some examples of what can be heard on these CD’s in podcast format, but my love is determined to install a new computer tonight, so there is no time for that. Last time I got a new computer, about five or six years ago, I lost all my mails. So, if you don’t get any more mails from me, you know what is the reason.